SketchUp for Schools has started a year ago where the creators have started to put some information to manage SketchUp tools for students and teachers they are adding features now. 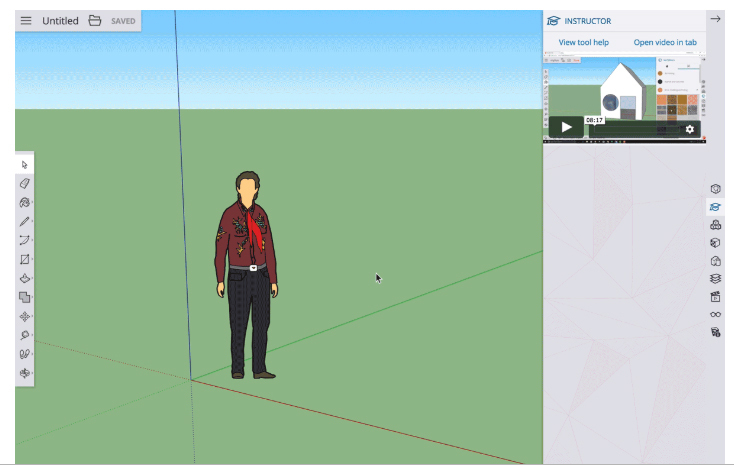 SketchUp for Schools: It is a free 3D modeling browser application which is available to any primary or secondary school that has signed up with G-suite for Education. This is the first time SketchUp ever offered an education-specific product and SketchUp team has taken the view of users and their EDU community about the classes. SketchUp management are bringing SketchUp for Schools out of beta just in time for the school year and after an wonderful Summer of sifting through many positive feedback the team has brought the two most needed features: STL exploring for 3D printing and SketchUp curriculum. So SKetchUp for Schools also offering age-definite curriculum attached to the International Society for Technology in Education (ISTE) Standards and also the curriculum is made by Teachers like Mike and Mike. Last year, the SketchUp for Schools had started various classes to teach the students about SketchUp and people gave feedback which helped them to make improvements so that students and educators can use it more smoothly in 3D. So, this year they are again bringing SketchUp for Schools with new improvements, let’s check them out. It is the web-child of Solid Inpector2 and is ranked number 1 extension to prepare models for 3D printing on SketchUp’s Extension Warehouse. It is located on the right side of the new 3D printing panel. 3D printing guide is a complete guidance package consisting with three new lesson plans and these plans are now delivered in Google Slides. They all can be found either on the Web or directly in the SketchUp for Schools application. Solid tools have different kind of tools which are Outer Shell, Union, Subtract, Trim, Intersect and Split. All these features are very useful to create cool geometry and can also help in preparing any model for 3D printing. There are many exciting Thingiverse models in the SketchUp for Schools application which students will love to play around with and it is as easier as exporting to STL. 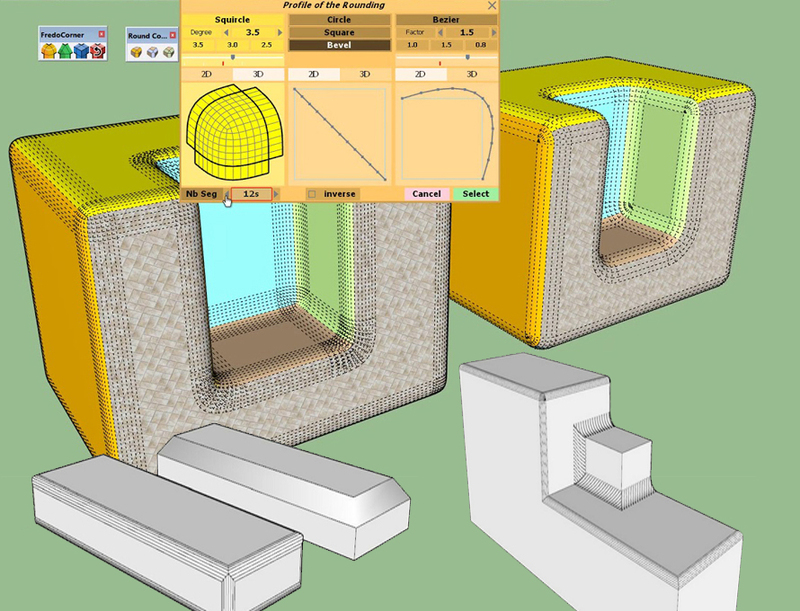 It allows users to create own custom styles or to edit one of SketchUp’s many default styles. SketchUp team has added the ability to downsave the files of users’ while working on any earlier version of SketchUp Pro in Desktop so that they can work between SketchUp for Schools on the Chromebook and SketchUp Pro on the desktop. Last year, the most popular exporters were used in primary and secondary schools: in both STL and PNG. So, this year they have added a lot more exporters so that students can flex their creative skills on the last cutter, image editing software and other 3D modeling tools. Users can give their own unique touch in the SketchUp’s material library by editing material fuzziness. 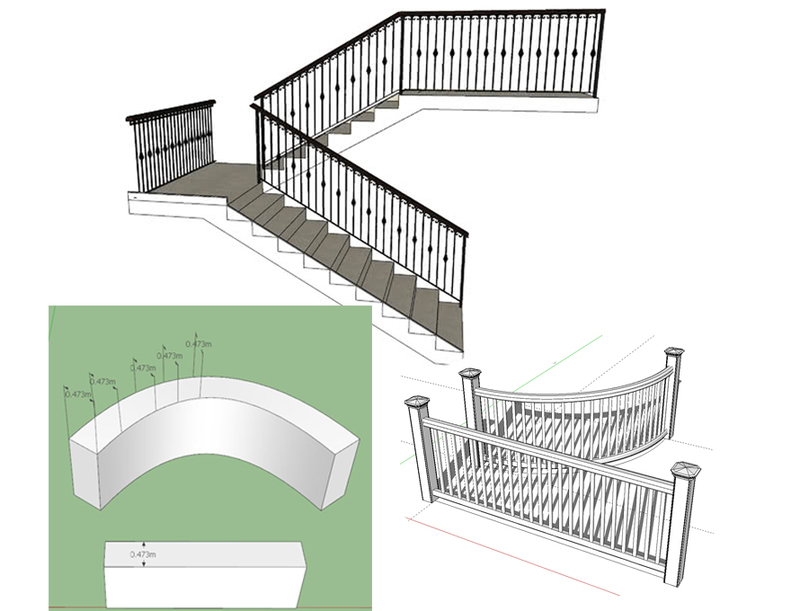 David Richards always works on different tools from different SketchUp extensions to create some differentiates in his models and this time he made a tutorial on Radial Bend tool. About David Richards: He is a Biomedical Equipment Technician and provides anesthesia and Respiratory equipment for the largest medical facility in southeast Minnesota. Beside that he works in his garage woodworking shop where he has made various wooden items, he is a regular SketchUp user who uses it for designing projects, working out joinery details and solving the order of operations in time. He has made a various range of SketchUp models like tiny parts for medical equipment, large architectural and other construction projects. Most of his models are furniture and other woodworking related things, besides being a SketchUp users and woodworker; he helps other woodworkers around the world to use the program through his blogs in ‘Fine Woodworking’ which has become very popular among the woodworkers. David Richards has drawn a SketchUp model and going to show his viewers the tip of bending any object in it; at first he drew a SketchUp model while creating plans for Michael Robbins’s Contemporary Desk that is marked in the current issue of Fine Woodworking Magazine. The desk mixes practical utility with elegant details like its slender base with turned legs and curved side profiles; the construction is divided into two parts that are top and base. The joinery for the top section is elementary mortise and tennos; the two-part desktop is part solid wood and part plywood and covered with leather to make a blotter. The base with its turned legs is a straightforward frame secured by bridle joints. This leather on the blotter surface is represented by creating a component at first that is twisted up at one corner. The work of this bending is easily done with the help of the Radial Bend tool in the FredoScale extension and here is a little detail of that work. Radial Bend tool: Radial Bend deforms an object by radically bending the deformation axis which is perpendicular to the base reference plane. The radial bend is applied to the selected end of the deformation axis while the opposite end stays fixed and when the mouse moves, the shape radically bends in either a clockwise or counterclockwise direction as per a circular bending track that is displayed and is subdivided in degrees. The orientation of the bend may be rotated around the deformation axis and done through the rotation handle attached at the bottom of the axis. This control is activated by clicking on it and an extra rotational track is shown to assist users with the positioning of the rotation. In this model, David started working from the base for the blotter; he took a component, copied it pasted outside the component. Next he took Push/Pull tool to give the component a little thickness; next he thought took the curve tool to start the guideline to set the arbitrary. Now it is the time to bend the object, so he took the Radial Bend tool from FredoScale extension, placed it on the object, here users can set the number of faces they want in the curved object, next he drag the cursor along the guideline click on the corner and bring that corner up to make it a bended corner. This exclusive v-ray for sketchup video tutorial, Alex Oliver, lead instructor at Sketchup School, provides some useful tips for the user so that they can’t omit some vital steps while rendering with v-ray for sketchup. The users always miss these vital steps and waste huge time for recreating the rendering. 4. The variation in how V-Ray renders details, and why it is necessary to add more of them in SketchUp to improve the quality renderings remarkably. 5. How to maximize your polygon count in SketchUp for rapid, superior quality renderings in V-Ray. To get detail explanations about these important steps, go through the following video tutorial. Fredo6 has released their new extension named FredoCorner which is an upgrade version of previous RoundCorner that become now a paid version to work in the corners and splits. Justin Geis: Justin Geis is the founder of The SketchUp Essentials and started using SketchUp while he was working as a general contractor in 2008 and after using it he found that SketchUp is extremely powerful that he just started to use it in his personal works also. Then he started The SketchUp Essentials as a place where he could share his ideas of using SketchUp easily through some tutorials and tips to help other users controlling the power of 3D Modeling in everyday lives. Users can search extensions by name or as per the functionality. They can also install various extensions with a single click of a button. Or users can also control all the extensions from easy-to-use location in the My Extension page. FredoCorner is a new extension from Fredo6 designed to help the users in generating rounded corners or edges within SketchUp; this extension is as similar as the old RoundCorner extension, but it creates rounded edges with an improved algorithm and also has added some new tools. It works in stripping of edges and corners of 3D shapes, in 3D modes: Round, Bevel and Subdivision Mesh; this tool also has a Repair tool to undo any kind of generated shape rounding. But it doesn’t exchange the old RoundCorner extension and remains supported as it will become a paid plugin after a 2-3 month free period. It is may be the biggest change within FedoCorner as it is opposed to RoundCorner where the corners are all balanced and they can be edited with the Profile Rounding Function; this tool allows users to adjust the way of creating rounded curves with FredoCorner. This new upgraded tool also offers the ability for reversing the curves that allow creating corners which move both inward and outward. This extension can also handle much more difficult corners now than previous did in RoundCorner. There is a new preview button added which helps users to quickly view the created geometry with the look without creating it. Besides that, it also allows live editing the curves by clicking and dragging with preview mode active. The offset line lengths can also be edited now by clicking on them and adding a new value; users can offset individual lines or full offset by double clicking. The major thing is that users can now select a group or component and active FredoCorner without editing the raw geometry. There is also a subdivide function that allows to split object into squads that allows users to use an extension like SubD or Artisan to subdivide the shapes without any deformation. SketchUp or Google SketchUp is mainly a3D modeling computer program that is used for a broad range of drawing applications used by architects, interior designer, landscape architects, civil and mechanical engineers, film and video game designers also. SketchUp can be getting as a freeware version named SketchUp Make and a paid version with many more extra benefits called SketchUp Pro. SketchUp is software from Trimble Company and there is an online library of free model congregations and 3D Warehouse to which users can add other models; besides that, the program has drawing layout functionality with variable ‘styles’, supports third-party ‘plug-in’ programs hosted on the Extension Warehouse to supply other abilities and enables placement of its models in Google Earth. As SketchUp users are most of architects, designers, builders, makers and engineers etc. who works hard to give a nice shape to our physical world, they need great tools to do the work. SketchUp is in mission to bring their best to produce some great tools for drawing as drawing is the key thing of the SketchUp users. They draw to search ideas, to identify the things and to show other people their work that they do with love and love to build; SketchUp understands it truly and trying to improve their software day by day. SketchUp is a worth useful software for its ease of use, it can be downloaded or installed o computer and right after that user can work on it. Though SketchUp can easily handle but still there are some sides where people will find some difficulties and lots of solve also are there like YouTube tutorials upon SketchUp or visiting SketchUp website or search Google etc. But people will get confused to have lots of information from different places upon one thing so there should a proper place or website where all the answers can be found. Zarik B has developed AUGmentecture, the newest sketchup extension available in extension warehouse. It is compatible with SketchUp 2016, SketchUp 2017, SketchUp 2018, SketchUp 2019. AUGmentecture belongs to a service that allows you to observe complex 3D models on a mobile device in an Augmented Reality format. The AUGmentecture extension facilitates you to coherently and safely upload your 3D models directly from Sketchup to your AUG account to see them afterwards with your mobile device. You have to only choose the model and it is possible to view the model on your mobile device. The purpose of AUGmentecture is to make augmented reality an indispensable design communication and collaboration tool for architects, designers, and artists. One will be able to download the AUGmentecture app for iPhone from here (itunes.apple.com) or for Android Phone from here (play.google.com). Go through the following video tutorial, to get more clear idea. Textures add the realistic look in any model and Poliigon’s website is full of different textures which will increase the rendering view in SketchUp 3D models or in Vray. In today’s article we will discuss about an online source that is contained of textures which can be used in any 3D models and renderings. 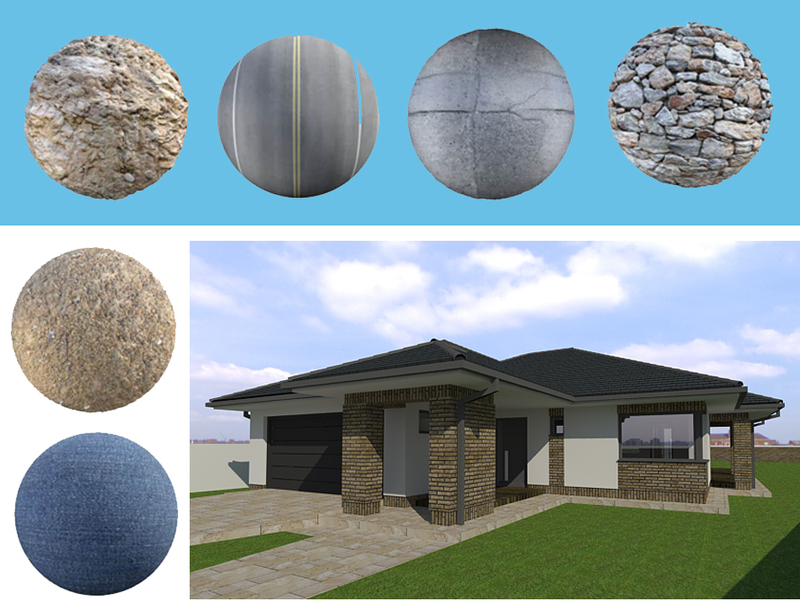 There are many different websites which can also be used to download textures to use both in the SketchUp models, as well as for some programs like Vray, Unreal Engine and many more. This is a guidance to help the users in downloading and importing materials from Polligon.com into every SketchUp model, besides that there are some tips for setting the materials up within Vray for really creating more realistic renderings. These free textures can get from http://www.poliigon.com , where users need to go on the top of the page to click the Sign Up button and it is absolutely free of cost website. After signing up, users can find there premium textures that can be purchased access to, as well as there are some great free textures that can be downloaded. Next they will find the texture stab, from where they have to go down to click on “Free textures” option; after clicking on this it will show a list of all the free textures available through Polligon where are list of wonderful materials to work. Plaster 17: When users will select this texture they will get a preview window that will show the material and its look while rendering. It also shows a list of different maps that can be downloaded such as normal maps, reflections etc. They also have a pretty worthy set of free textures and one of the nice things about them is that they have different maps which users may need to link up various things like normal maps to coarsen the surface or reflection maps to make the rendered reflections look better and more. Users can select very high resolutions also but it should keep in mind that though higher resolutions look more realistic but SketchUp may face some trouble with working them. After downloading the file, users can unzip it and place the materials in their file; next it need to bring into Vray by opening up the Asset Editor, then go to the Material List and click the “Add Material” button at the bottom of the page and select “Generic”. From here, users can add the maps into Vray material, clicking on the right arrow button will help to expand the window off to the right where they can add texture to this material by selecting the little box next to “Diffuse” and finding the color map. This option will add the texture image to the material and going in the material section, the size of the material can adjust; also adding different maps from the material it become more realistic. 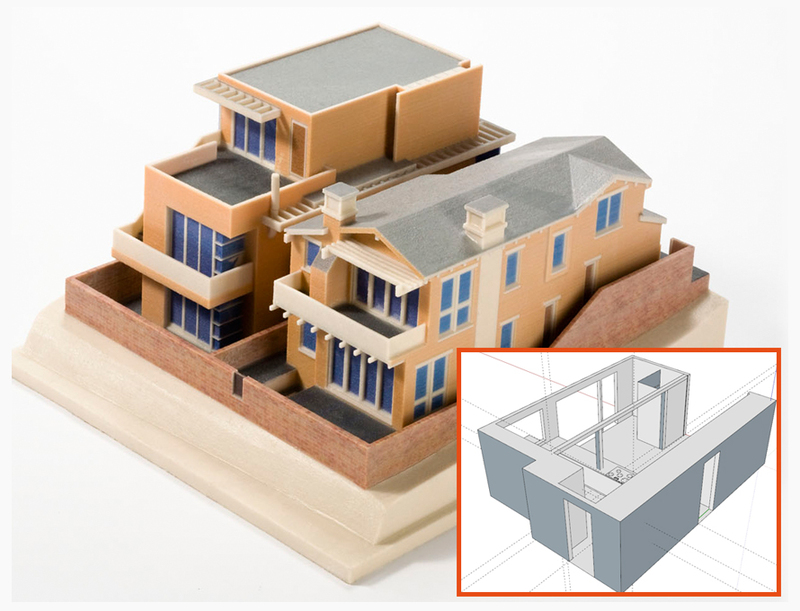 SketchUp models are suitable for 3D printing but it only can happen when the parts of any model are assembled together, there are different ways to assemble those parts. In the previous tutorials of Sketch Up, Aidan and Rebecca have shown us the way to cut Sketch Up model into parts but the matter is now to assemble them in a way for printing them. There are many other strategies and features in SketchUp like mechanical or else to help in building into the model to assemble the parts together. Aidan and Rebecca are going to show the users through different processes and here is a brief discussion on it. Tolerance in SketchUp: It is the difference between the sizes of users’ part in SketchUp and the size of the part produced by their 3D printer. Suppose a user has drawn a 10mm cube in SketchUp and printed it, none of the sizes of the printed cube will be shown exactly 10mm; though these are very small differences like a few tenths of a millimeter more r less. But they can create problems if their 3D printed parts have to connect with the parts that already exist in the real world. That’s why the manufacturer of the 3D printers gives a unique number for the machine’s tolerance which may be in either plus or minus value. This value is called the Maximum variation for that machine and users both need to be aware while working. Tolerance in SketchUp: Clearance is like an extra space for parts to slide past one another but users may face a little difficulty while installing similar size peg in a similar sized hole as they will not go together. The peg and the hole will not fit properly with each other in SketchUp but in real world they will not react like this as there the peg needs to connect with friction. The exterior of the peg is similar as the exterior of the hole that the friction between them will keep the peg from veer going in if the fit is too perfect for them. In that case, users need to add a small amount of space called clearance which will help the two parts to slide past each other; the amount of clearance depends on the exact movement of the part. Glue in SketchUp: Glue is the universal way to stick things but it is also the weakest and most unreliable way as it has very little strength o keep the things tighter for long. The plastics which are used in 3D prints defined by the names ABS, PLA, PVA, nylon and PETT; all these plastics need a special glue to stick and the glues have to order online. Biodegradable starch plastics consists a crystalline structure that doesn’t go well with liquid superglue which stays liquid and move unexpectedly across the surface of the part. Instead of glue, users can use epoxy which is though a messy stuff but will stick to anything. No glue can stick to the flexible materials for 3D printers so to attach parts, a process called thermal welding. Snap fittings in SketchUp: These are properly designed to pop the models together after the parts come off the printer and as these are removable so users can change out many parts of the model as per design. In SketchUp, snap fittings are created by two general steps: 1) creating the tongue with the Line and Push/Pull tools; 2) creating a matching capture point on the opposing part. Press Fit in SketchUp: A press fit is the very little clearance between the two parts while designing and when the parts are pressed together forcibly, friction keeps the joint together without any extra hardware or glue. To make a press fit, the Offset tool is used to create an outer lip on one side of the connection and an inner lip on other side. Bolts, Screws and Hardware in SketchUp: The strongest connection between 3D printed parts is holding together with metal hardware and these connections are great for things that are more than just prototypes. While integrating hardware into the design, include hardware in the SketchUp model as it will take measurements of the parts users need to use and model them in SketchUp. Then save the components in the component library for using them in further models. SketchUp Hub is fully dedicated to the interior decorations using SketchUp; they help the interior designers to get some new ideas about home decorations. About SketchUp Hub: Anita Brown has established the SktchUp Hub 3D Visualization and here are a range of courses for helping Interior Designers and students, creating exact floor plans and elevations with a professional touch for the extreme benefit of their business or studies. The SketchUp Hub’s total vision is to authorize Interior Designers especially women providing right technical abilities for making exact drawings and creative illusions at professional standards. Besides that, SketchUp Hub creates an available, engaged and fully supported learning environment for presenting the development of STEM related skills to a female driven industry. In the month of January this year, the Sketchup Hub had announced their first ever 5 Day Challenge where they had challenged designers and SketchUp users to create an awesome kitchen design with the help of Free SketchUp download. The event was a big successful one and many people showed their wonderful skills where the best got the winner prize and made a place for his/her design. After that the SketchUp Hub has focused on designing the Interior sides of houses with elevations, these elevations are actually some kind of visual tools that allow Interior Designers to transfer perfectly their vision for a space, specifically they can work on the design of a wall and other items within nearly view. Autumn is now in our door step and this is the best time when people think to decorate their places in a new way or want to make their places lovely and cheerful. Autumn is the season of cleaning houses, washing lawns and houses to give it a new and clean look to welcome Winter and Spring. SketchUp Hub team is also excited to create changes in the interiors which can make lives even more beautiful and stylish. According to them, in Autumn they will love to create dramatic, breath taking interiors for the season; their dark and moody atmospheric qualities give the right foundation for designers to drive boundaries, make a statement and experiment with new colors, patterns and materials. Autumn interior decorations is mostly done by Urban Luxe which is the best interior design styles to combine into an Autumn scheme; it has all the glamour, luxury and classic detailing perfectly balanced with modern design to create a consistent and modern aesthetic that emits undeniable warmth and sophistication. The team has worked it on and designed a beautiful living space that replicates everything about an Urban Luxe Interior. First of all they focused on the color; they chose Cordoba from Little Greene as the aubergine shades in this hue were very evocative of the earthy notes of autumn as it is full of different color combinations to introduce individuality into the space. After getting the main color for the space they also chose feature wallpaper as they thought that floral prints will create a huge effect on interiors in the future. 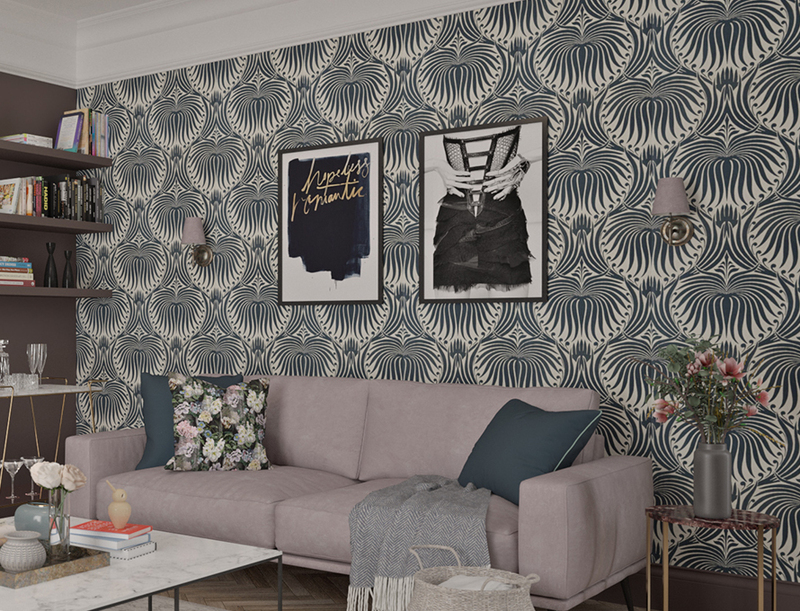 They love patterns and applied the Farrow & Ball’s Lotus print which incredibly rich and reflects all of the classic elements, they also used it on the sofa wall that gave a mild but sophisticated look to the place. While they put muted Scandinavian colors in this design with the muted pink and dashes of grey-ish blue for make a balance with the strong wall colors. Next they worked with sofa covers and cushions, coffee table, walls, backdrops, curtains, chairs and fire place; they applied the contrast colors, mix and match the colors against each other to create a vivid but variant stylish look throughout the room. About SketchUp: SketchUp or Google SketchUp is mainly a 3D modeling computer program that is used for a broad range of drawing applications used by architects, interior designer, landscape architects, civil and mechanical engineers, film and video game designers also. SketchUp can be getting as a freeware version named SketchUp Make and a paid version with many more extra benefits called SketchUp Pro. SketchUp is software from Trimble Company and there is an online library of free model congregations and 3D Warehouse to which users can add other models; besides that, the program has drawing layout functionality with variable ‘styles’, supports third-party ‘plug-in’ programs hosted on the Extension Warehouse to supply other abilities and enables placement of its models in Google Earth. As SketchUp users are most of architects, designers, builders, makers and engineers etc. who works hard to give a nice shape to our physical world, they need great tools to do the work. SketchUp is in mission to bring their best to produce some great tools for drawing as drawing is the key thing of the SketchUp users. They draw to search ideas, to identify the things and to show other people their work that they do with love and love to build; SketchUp understands it truly and trying to improve their software day by day. eyecad VR – Virtual Reality Architecture Software is useful sketchup extension that is compatible with SketchUp 2016, SketchUp 2017, SketchUp 2018, SketchUp 2019. It facilitates the users to explore their projects in realtime out of sketchup 3d models. The users can go to VR with a simple mouse click via sketchup plug-in and generate amazing rendering instantly. Eyecad VR refers to a proper eco-system software for Virtual Reality and Realtime Rendering. It is possible to generate outstanding and Interactive VR scene for the clients. Apply Oculus Rift, HTC Vive or walk around with monitor and keyboards/pad. Besides, share your VR interactive project with the clients via eyecad VR App available on PlayStore and later on AppStore. The 3D printing technology allows any kind of design to be brought to life which releases architects from the limitations of standard construction. 3D printing or additive manufacturing is way of making three dimensional solid objects from a digital life. The creation or making of a 3D printed object is achieved using additive processes and in this process, an object is made by laying down successive layers of material till the object is created. Each of these layers can be visible as a thinly sliced horizontal cross-section of the eventual object. So basically 3D printing is the opposite of subtractive manufacturing which is cutting out a piece of metal or plastic with for specimen a milling machine. SketchUp is just made for 3D printing and designing in SketchUp is cool as 3D printing is something that moves is cooler and unique than that. In this article we are going to discuss about a few features that can be include by the users to make their creations more than just interestingly shaped hunks of immobile plastic. Aidan Chopra and Rebecca Huehls this time comes up with new tricks about 3D printing in SketchUp. SketchUp or Google SketchUp is owned by Trimble Inc., a mapping, surveying and navigation company. It is mainly a 3D modeling computer program that is used for a broad range of drawing applications used by architects, interior designer, landscape architects, civil and mechanical engineers, film and video game designers also. 3D printing technology has changed many industries globally and among them most impact can be seen on Construction industry which offers freedom and versatility in a right budget. This article will describe four new 3D Printed projects in 2019 among Construction industry. Most of the companies that use 3D printed program in construction are startups businesses are still in their developing phase though the number of countries using 3D technology is growing every day. Dubai is the leader of those countries where the most famous and luxurious UAE city has started a new structure that will be going to be built by using 3D technology. Project Milestone: This is based in Eindhoven (the Netherlands), the engineers of Netherlands are planning to build five 3D printed concrete homes; this unique project makes them the first commercial housing project using 3D technology. Where the homes will be of new ages, having all kind of comforts etc. Apis Cor: It is a startup which is located in San Francisco made a demonstration of its own 3D technology by creating a house in Stupino, Russia in 2016. Their technology is versatile and mobile as they printed the whole home on site to cut the transport expense. In future they are expecting to make homes using dual extrusion that will allow printing components other than the concrete structure. Recently the company has collaborated with SEArch+ and entered the “3D Printed Habitat Challenge”, a contest organized by NASA. 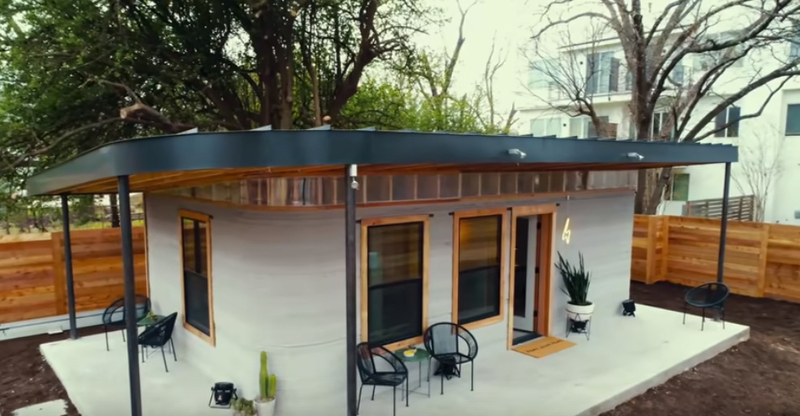 New Story: It is a nonprofit located in Texas who has partnered with Icon which is a company that creates printers, robotics and advanced materials to work on affordable housing solutions. WinSun: WinSun created its first houses in 2013 using the first continuous 3D printer; they used a special mixture made of sand, cement and fibre along with suitable additions to print house components layer by layer in their Suzhou factory in China.